Two women, one based in Los Angeles and the other just outside of London, decide to do a home exchange over the holidays to escape their own misery after facing unforeseen heartbreak right before Christmas. Little do they know that the people they will meet at their home away from home will change their lives forever! This year was actually my first time watching The Holiday after wanting to see it for years (thank you, Netflix Canada, for finally adding it to your movie lineup! ), and it has quickly become one of my favourite movies! Expect to laugh, cry and feel all warm and fuzzy inside. A newspaper staffer wanting to prove her worth as a writer is given the opportunity to cover an original Christmas story - the only problem is that she hasn't had much of a Holiday spirit since her ex-boyfriend dumped her on Christmas Day a few years back. When she is reminded by her parents that the Christmas Angel ornament that was passed down to her has a history of miraculously bringing lovers together, she finally has her story, and while trying to uncover the mystery behind the hand-carved wooden family heirloom, might just have a chance at love herself through encounters that may not just be by coincidence. I first came across this Hallmark movie last year, and had to watch it again, it's that good! When Buddy the Elf finds out that he was not born in the North Pole and is actually a human, he decides to make his way to New York City to meet his biological father Walter Hobbs, despite being warned by Santa that Walter is on the naughty list. While trying to spread Christmas cheer, he is mistaken for department store staff and becomes instantly smitten with Jovie, a not-so-cheery employee. Bonding with his father is no easy feet, as he is kind of a grinch too. When Santa's sleigh malfunctions and crashes in the Big Apple due to lack of Christmas spirit, Buddy steps in and with the help of Jovie saves Christmas, and finally forms a bond with his long-lost father. It's a must-watch, new age classic. P.S. I swear the Santa Announcement scene ("Saaantaaaaa") never gets old - I crack up every. single. time! Isabella (Belle) and her father are business partners, and the latter demands she head on a business trip right before Christmas to catalog a wine estate owner's (Hunter) inherited collection before it gets auctioned off, as he is planning to travel the world once his property has sold. During her stay at the estate, she quickly falls in love with the widower's dog and the place itself, but when she crosses a line, she angers Hunter and decides to leave after the way he reacted. Hunter comes after her to apologize for his rage of furry, and after returning to the estate to finish the work she started, she starts to develop feelings for him after getting to know him better - but a long-time suitor and her bossy father come into the picture, and she must stand up for herself and go after what her heart truly desires. This movie will pull at your heartstrings, and is on the list of movies I need to rewatch every holiday season. This story takes place on Christmas Eve, when a group of strangers cross paths, each one going through struggles of their own. From a single woman caring for her hospital bed-ridden mother and a mysterious next door patient, to an engaged couple dealing with jealousy in their relationship, to a widowed man who peculiarly revives the memory of his late wife each Christmas, and finally to a young man who wants to recreate his most favourite, happy Christmas memory in the most unusual of ways, this is not your typical feel good, cheery holiday movie, but it really gets you thinking and is full of twists and turns you did not see coming. I watched it for the first time last month, and have already rewatched it two times since! In this Netflix Original, an aspiring journalist takes on her most important assignment to date, covering the coronation of the soon-to-be-king in the fictional European country of Aldovia. When the Prince is a no-show at his own conference and media are told the meeting will not be rescheduled and are hence left without a story, she comes up with a clever plan to get closer to the royal family, and eventually with the Prince himself. But when she uncovers a secret that could jeopardize his royal highness' succession to the throne, she must choose between advancing her career and and a chance at true love. I kept hearing about this new release and I was pleasantly surprised and think it is definitely worthy of a watch. When her career-driven fiance dumps her right before Thanksgiving, Hillary resorts to hiring a random guy on the street to play her pretend lover so as to not disappoint her mother when visiting over the holidays. Her family finds her pretend beau David to be quite the catch, and her mom can't help but be instantly smitten by him. Hillary quickly starts seeing him as more than just a stranger or even a friend, but when her ex-fiance tries to win her over again, she faces disappointing her mom and has to pick who she wants to spend the rest of her life with. This movie was a rewatch, and I forgot how much I actually enjoyed it! Princess of Montserrat Catherine is on royal duty in NYC a few days before Christmas, and feeling tied down by her demanding aunt who manages her everyday life, decides to make an escape, just for an hour, to reminisce about her time spent there as a young girl with her late mother. When her belongings are stolen while roaming the streets of the familiar city, a handsome stranger tries to come to her rescue, but stubborn Catherine says she does not need his help. A chance encounter brings them back together, and they must ward off a pesky news reporter who threatens to expose her disappearance, which has so far been kept hush hush, as well as a secret service that her aunt has hired to find her. Another royal-themed Christmas movie that is definitely worth a watch! With her late father's candy shop facing foreclosure before Christmas, single mom Wendy makes her way to the big city and lands a seasonal job with the help of an old friend at a Wolman's department store in order to make some extra cash in hopes of saving her family's business. She becomes smitten with the store owner's nephew Tom who helps run the place, but with the board of directors hiring new manager Teanna to increase sales, some major restructuring and changes in the company ensue, which all but kill the Christmas spirit Wolman's has been known for. With the help of the store's ex-Santa (who is actually the real Santa who got laid off by Teanna), Wendy must make those around her believe in the true meaning of Christmas again and in the process might just find love too. This movie became an instant favourite ever since seeing it for the first time last year. Single mom Jen is a humbug around the holidays ever since her ex-husband left her on Christmas Eve six years ago. When her neighbour and best friend Suzy suggests she bring her son to meet Santa (Chris) at the mall, she becomes upset when the big man promises her son a popular toy that is impossible to find. Little does she know that Santa mall Chris is actually the real Santa's son, ready to step in as Santa for the first time this year and on a mission to find a wife before the clock strikes midnight on December 25th. Add a potential suitor from her work place to the mix, Jen could be the one who saves Christmas, but she must first believe in the power of magic to do so. This movie is quite charming, a cute story for a cozy night in. 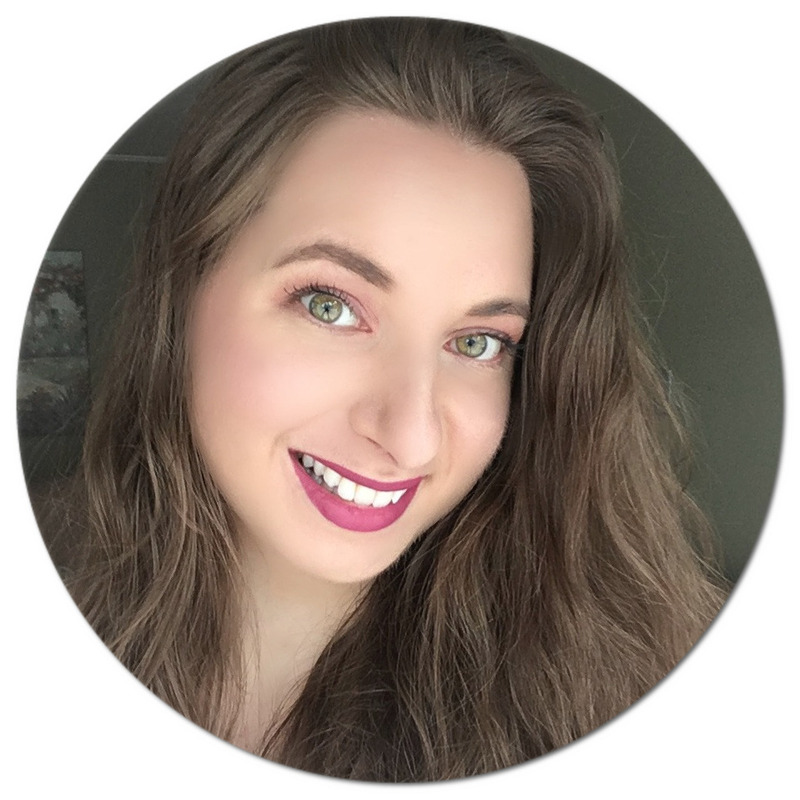 With the holidays upon us, I decided to team up with some of my favourite bloggers and bring you an amazing prize. One lucky reader will win a $650 gift card to Nordstrom. Simply use the Rafflecopter widget below to enter the giveaway. The more “tasks” you complete, the more entries you will receive. The giveaway is open internationally, and the winner will be announced (on the widget only) up to 2 weeks after the giveaway has ended. It can take time to select, verify, and get in contact with the winner. If you have any questions about the giveaway process, feel free to e-mail moneycanbuylipstick@gmail.com. 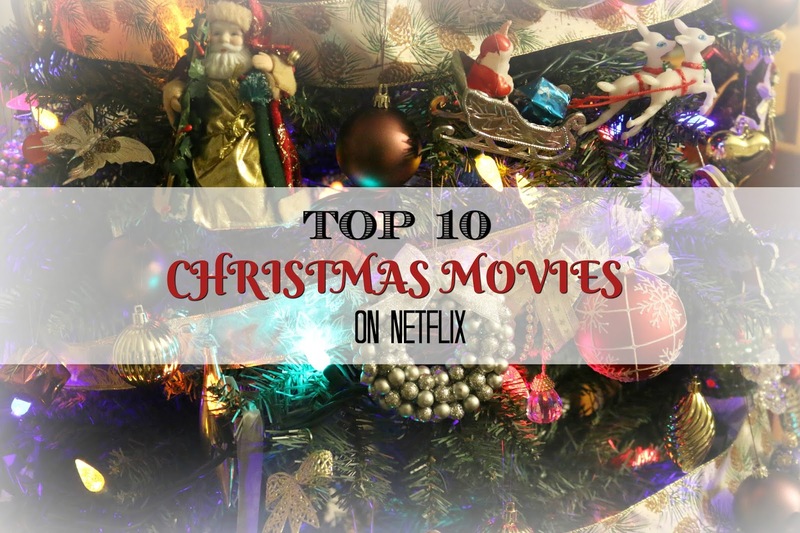 So there you have it - my top Christmas movie picks on Netflix! Any you haven't seen? Also, I'm curious to know what your all-time favourite holiday movie is, so feel free to chime in below in the comments! I don't think I've seen most of these movies. I'm going to take a day off this week and have a holiday movie marathon and watch as many of these as I can. Thanks for this post! A friend was actually just asking my advice on some holiday movies to watch on Netflix, so I referred her here :). The Holiday is a great one, and I'm seeing Elf on Broadway in detroit this week so I'd like to rewatch it again at some point. I do enjoy holiday movies, particularly the animated specials. I saw Elf once but don't recall hearing of the others. I am so glad to see some great Christmas movies on Netflix. I was bummed around Halloween when nothing good was on there. I need to watch the holiday again it's been so long since I watched it and now that you've reminded me, thank you very much. Just what I was looking for! We plan to spend the new years at home snuggled in a blanket so this list will come in handy! Elf by far is my favorite Christmas movie. We watch it every single year and we love it. We get cuddling on the couch get some popcorn and just enjoy the night. We have seen all of these movies this year. Enjoyed all of them. Would watch them again. You listed some great movies here. Elf is one of our favorites! I'll have to enter this giveaway. Thanks for this great list of Netflix Christmas movies. I often wonder what's available on there so I can watch it free vs trying to pay for something on my ONDemand feature. i haven't seen half of these ahah! I have seen A christmas prince though! so cheesy but so good at the same time! Great article. Elf by far is my favorite Christmas movie. We watch it every single year and we love it always. Elf is my favorite Holiday movie. Netflix has a great selection of TV shows and movies for the whole family. I will have to check out A Christmas Prince this weekend. Oh this is perfect! We've watched a Christmas movie every night for the past few days! Everyone loves Elf! I know a lot of my friends are really happy that it is on Netflix. The Holiday is one of my favorites! Along with Elf of course - who couldn't love that one lol! I have not seen a few of these, they sounds great! I have always loved Elf and anytime I come across it I always have to watch it and laugh like it was the first time. Such a fun movie! If its on Netflix, there's good chance I've seen it. hahaha! This is definitely my way to relax and unwind. Did you see when Netflix called out the 53 people who watched A Christmas prince some like 16 days in a row in a tweet? I love watching Christmas movies and especially through Netflix! I would try giveaway! Loved this delightful list of movies. Thank you for putting it together for the holiday season. What a great list! I literally JUST got Netflix this week so thank you for giving me a place to start! Happy Holidays Natalie!! That is a great list of Christmas movies. This year, it will be my kids who will pick out the movies we are going to watch. I hope they include Noel in their list! I would love to watch the Christmas in the City. I am a big sucker for drama movies. These are great movie list. You are an angel in disguise. I am RomCom fan and your list has more of it. Loved it. Going to have them stocked up for a movie marathon. Woo hoo. We watch Elf and a Christmas Story every Christmas. They both are great movies! There are a few movies I haven’t seen. I’m totally loading up my Netflix list. I Love the Holiday too! Never seen some of those movies before but I'm always up for new stuff to watch. Need add plenty of movies in my Netflix list to enjoy during the holiday. There are some movies that I haven't watched yet so I might check out those I wanted to watch. Thanks for compiling this helpful list! Happy Holidays! I love Christmas movies . The holiday is also my favourite . My nieces love elf..they watch it a few times every Christmas .